CRDI Diesel Engine with Daedong ECO Technology: The new Common Rail Diesel Engine (CRDI) improves fuel effciency over 20% while reducing noise levels. 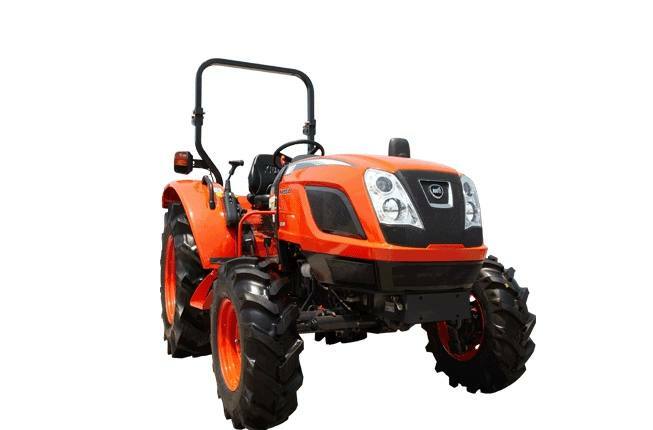 With this eco-friendly Tier 4 engine, the NX series offers the operator a quiet work environment with powerful performance. 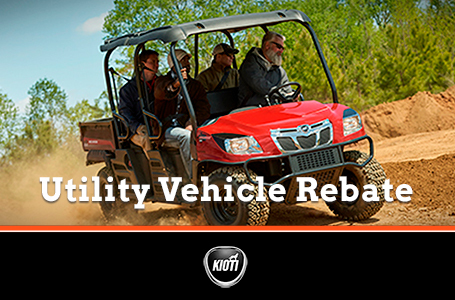 Receive an additional cash rebate on qualifying CK10, CK10SE and DK10SE model KIOTI tractors. 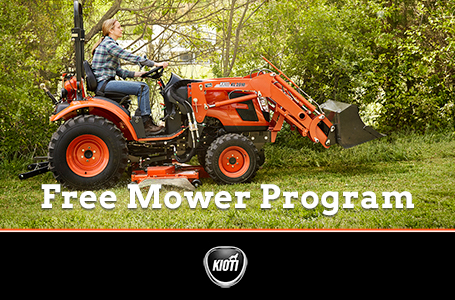 Receive a free mid-mount mower for CS or CK2510 models when purchased with a loader. 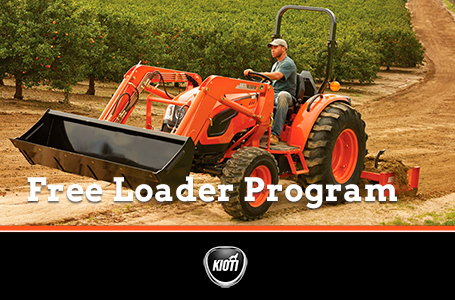 Purchase a qualifying KIOTI Tractor and receive a FREE LOADER. Eligible Units: All DK10 models (excludes DK10SE) and all NX models. 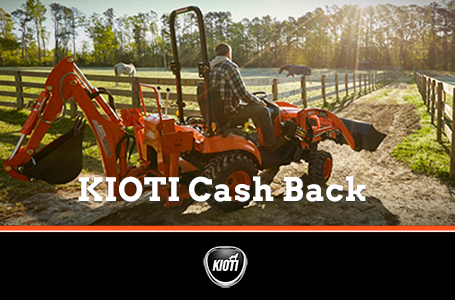 Purchase a qualifying KIOTI Tractor or KIOTI Tractor and Implement(s) Package and receive up to $6,000 CASH BACK. 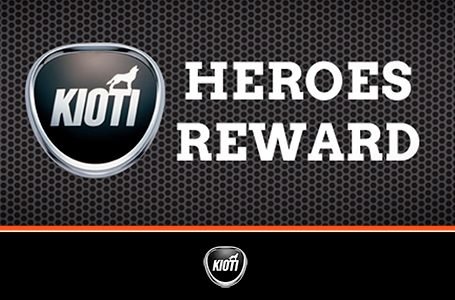 KIOTI salutes our Military and First Responders with up to $150 CASH BACK. 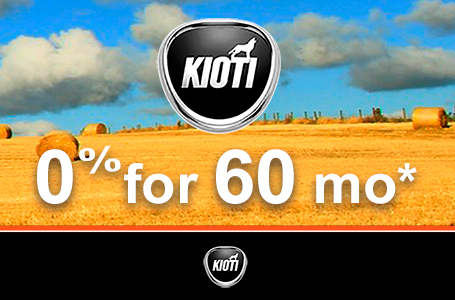 Purchase a qualifying KIOTI tractor or UTV and receive 0% financing for 60 months.